Chicken and broccoli always make a pretty awesome combination of flavors. 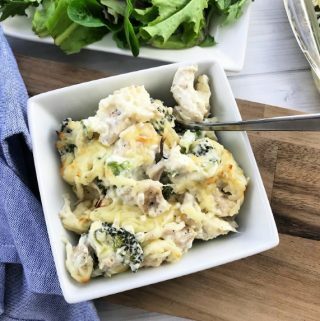 I love this low carb chicken and broccoli as it’s healthier for you than other options. 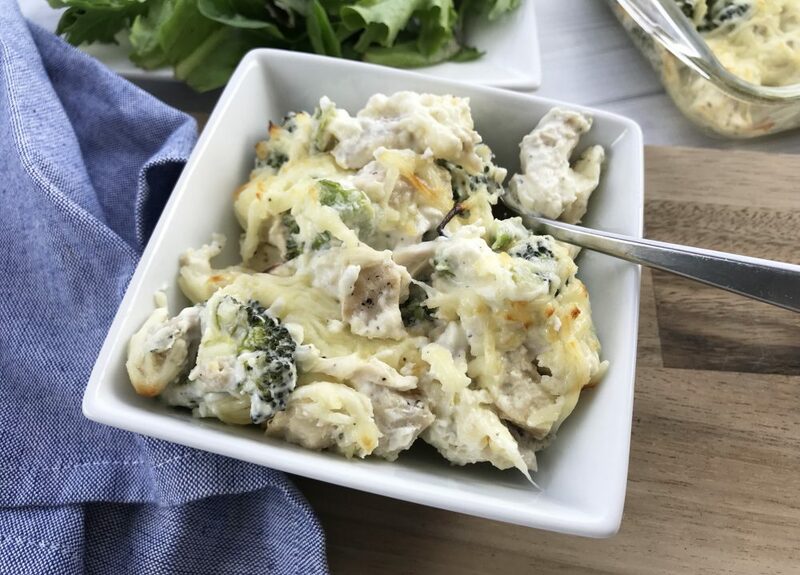 You can easily steam up the broccoli florets and get this low carb meal ready in about half an hour. This makes a delicious quick meal for the evening hours when you don’t feel like getting into some three-course meal. 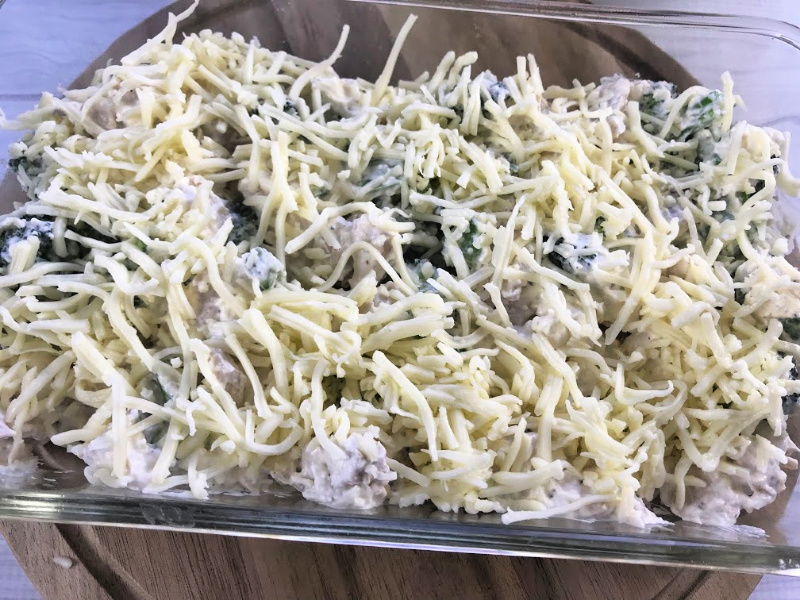 This is also a delicious option to bring along as a side dish to a holiday gathering. 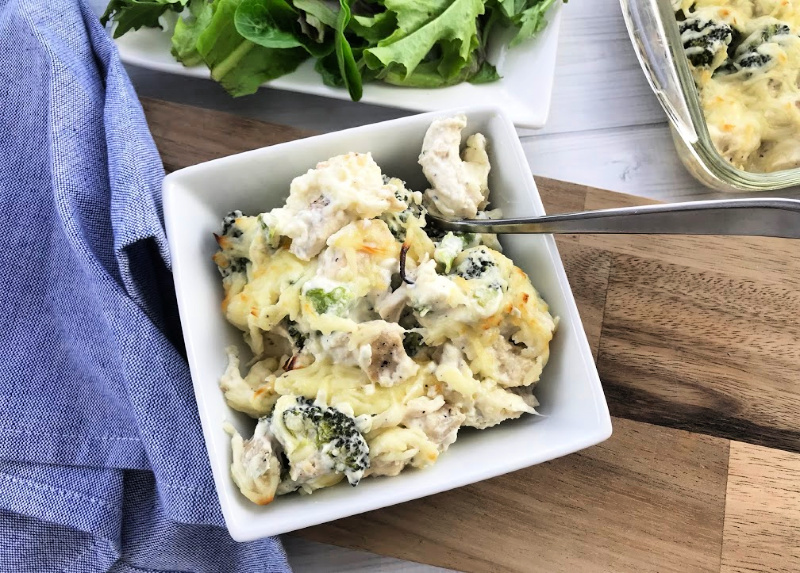 The next holiday will be here before you know it, why not make this low carb chicken and broccoli for your next family gathering? 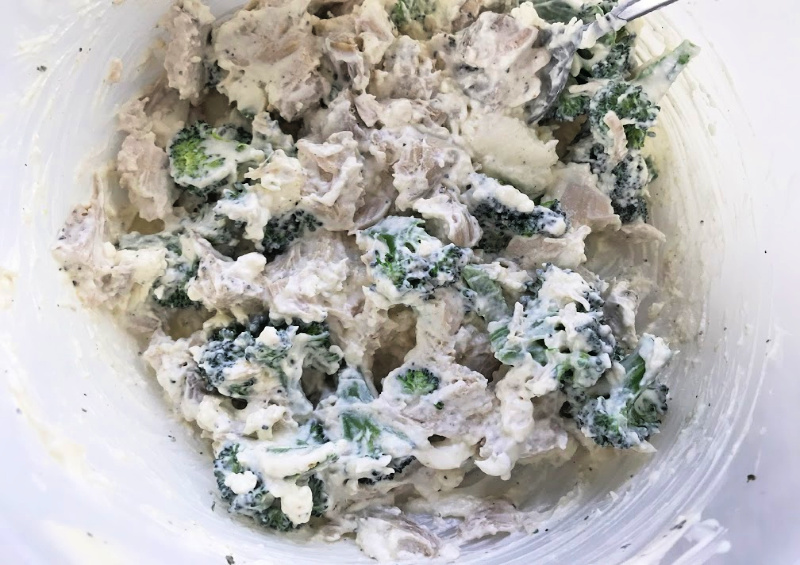 Combine the chicken, broccoli florets, softened cream cheese, mayonnaise, sour cream, onion powder, garlic powder, and salt & pepper. 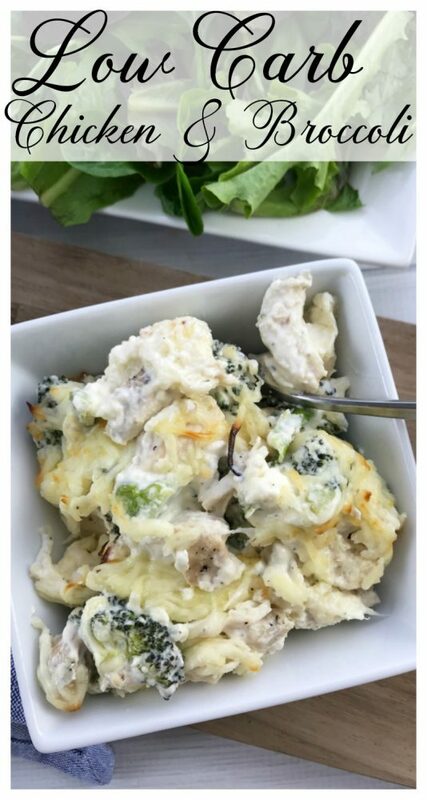 Pour the mixture into a baking dish and sprinkle the 1/2 cup of mozzarella cheese on top. I love serving this simple dish for dinner because it’s quick to make and goes well with a side salad. This is the perfect recipe idea for back to school season when you simply don’t feel like making a big meal or have enough time to prep a more in-depth meal idea for dinner. 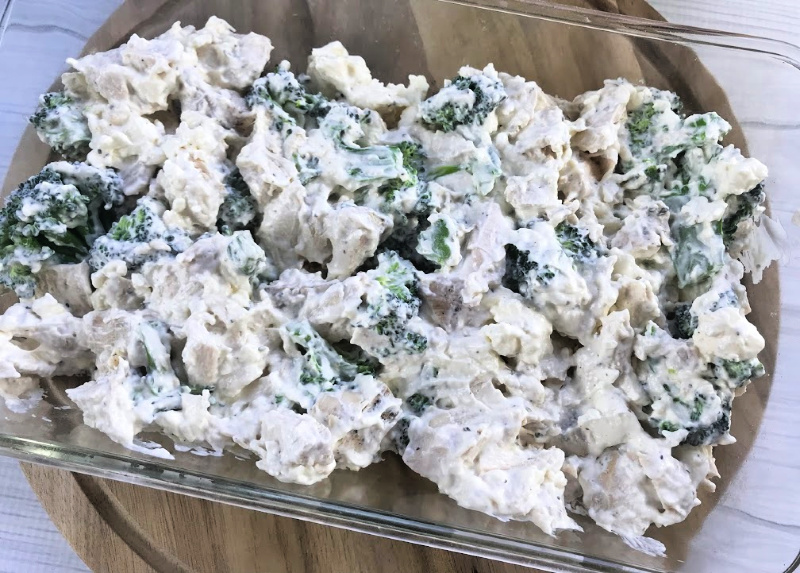 Just gather up your ingredients, follow my instructions, pop the baking dish into the oven and BOOM, you have a quick and easy low carb chicken and broccoli dinner idea for busy weeknights.